Red County Security provides a full range of executive and estate protection services for clients ranging from the Corporate and Sports worlds to the Entertainment elite. Our highly trained and experienced teams operate under a strict code of conduct while maintaining complete client confidentiality. The vast majority of our Executive Security personnel are trained by and recruited from U.S. Special Forces units which include the Army Rangers, Navy Seals, Green Berets, Secret Service, British Special forces, and SAS. A comprehensive security plan designed to avoid and deflect the press and paparazzi. 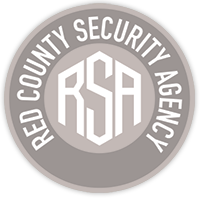 Red County Security is skilled at providing our clients security, peace of mind, and privacy. Our clients are able to sit back and "leave the headaches" to our experienced teams.